Signature Series Synthetic Motor Oil﻿ is the top-tier AMSOIL synthetic motor oil. It is designed for motorists who want the convenience of a once-a-year oil change combined with maximum engine protection, extreme-temperature performance and fuel efficiency. 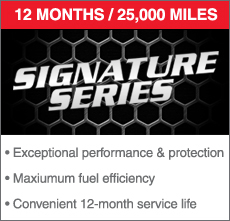 Signature Series is formulated to exceed the higher performance requirements of modern engines in everything from family sedans to high-powered sports cars, providing peace of mind that your engine is well-protected, even in severe driving conditions. 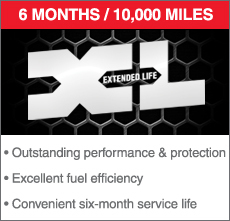 Its guaranteed 25,000-mile/12-month drain interval (normal service) saves you time and money, and reduces waste oil, helping the environment. 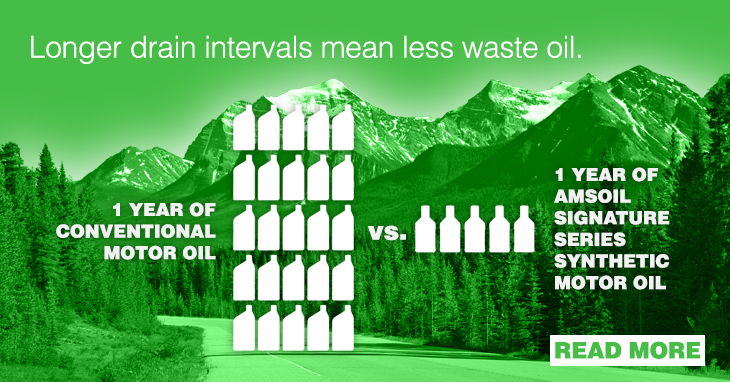 and money, it reduces waste oil due to fewer oil changes performed each year and maximizes fuel economy, so you can help the environment and save on gas. 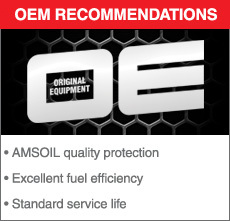 AMSOIL OE Synthetic Motor Oil is perfect for motorists who want the benefits of a high-quality AMSOIL synthetic motor oil - excellent wear protection, reliable extreme-temperature performance and maximum fuel economy - at a lower price. It’s also great for those not yet ready to extend their oil change intervals. OE Synthetic Motor Oil is specifically formulated for vehicle manufacturer-recommended oil change intervals, giving you confidence that your engine is protected even if your owner’s manual recommends oil changes well beyond the traditional 3,000 miles.